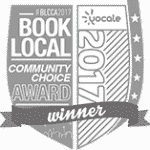 THANKS FOR VOTING US TORONTO'S BEST TATTOO SHOP! The Village Ink first opened up their Toronto tattoo shop in 2015 in the heart of Yorkville. Jonny Silverstein, a native Torontonian, founded The Village Ink after a lifetime love affair with this art form. He received his first tattoo the day he turned 18 and has been hooked since. The Village Ink was established to let passionate artists create and express themselves and to make our customers ideas, memories and experiences come to life through ink. There’s a reason our motto is “you think it, we ink it”. Our goal is to help our clients tell a story. There’s nothing more personal or intimate than a story told on the human body and we are honored when clients trust us to help them tell theirs. Our drive at The Village Ink is passion and inspiration – both from our tattoo artists and our clients. We’re constantly innovating to give you the latest styles and techniques at the highest levels of perfection. Our tattoo artists are the best in the business and are skilled in a variety of tattoo styles. We specialize in line work, pointillism, watercolors, realism, traditional and neo-traditional styles. Every tattoo created at The Village Ink is a creative collaboration between our artists and the client. We make sure our work is top notch and one of a kind every time. There’s nothing more personal or intimate than a story told on the human body and we are honored when clients trust us to help them tell theirs. Located in the historic and trending Yorkville neighborhood, The Village Ink is one of the top Toronto tattoo shops. Our tattoo artists value the ideals of individuality, creative excellence & technical innovation. We’re constantly innovating to give you the latest styles and techniques at the highest levels of perfection.